I’m publishing and giving away ebooks of Gundown in order to fight gun violence in the only way I can, with ideas. Your ideas. 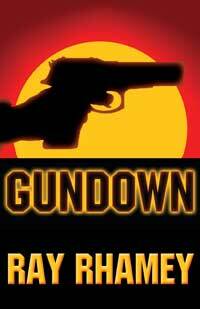 To download a free Kindle, epub, or PDF of Gundown, go here. For a print copy at cost, you can order one at Amazon and other online vendors. And please pass it on. Anne Rice got it wrong. The undead life isn't much of a life at all. The Vampire Kitty-cat Chronicles turns vampire mythology on its head in this deliciously snarky story told from a cat's point of view. Rib-tickling with bite (pun intended)--a number of reviewers said "laugh-out-loud funny," and one noted that "the satire bites satisfyingly deep." Urban fantasy humor. Free sample. Paperback and ebook The Vampire Kitty-cat Chronicles, a novel by Ray Rhamey. More information and reviews here. A riveting coming-of-age story laced with murder—a novel of Texas. I do workshops for writers conferences and writer groups. Learn more here. Writer, book editor and designer, teacher, copywriter, scriptwriter. Crrreative Book Editing & Design offers personal, innovative editing and design informed by deep writing experience.